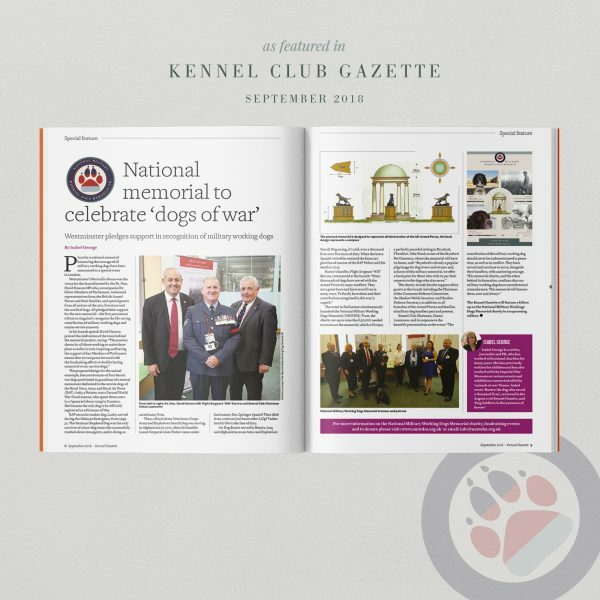 We’re thrilled that NMWDM UK is to be featured in Kennel Club Gazette this September. Plans for a national memorial honouring the courage of all military working dogs have been announced at a special event writes Isabel George in The Kennel Gazette. Westminster’s Portcullis House was the venue for the launch hosted by the Rt. Hon. 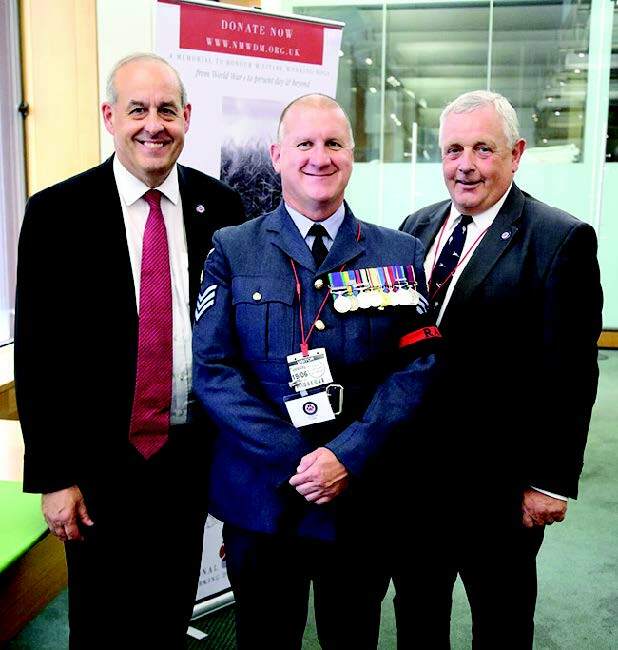 David Hanson MP who, accompanied byfellow Members of Parliament, welcomed representatives from the British Armed Forces and their families, and special guests from all sectors of the arts, literature and the world of dogs. 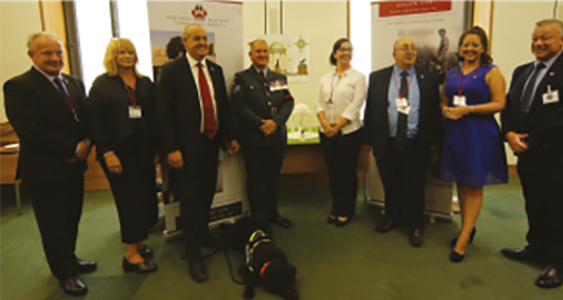 All pledged their support for the new memorial – the first permanent tribute to singularly recognise the life-saving contribution of military working dogs and canine service mascots. The proposed design for the animal cenotaph, features bronzes of four heroic war dogs positioned as guardians of a central monument dedicated to the service dogs of the Royal Navy, Army and Royal Air Force (RAF): Judy, a Pointer, was a Second World War Naval mascot, who spent three years in a Japanese labour camp in Sumatra. She became the only dog to be officially registered as a Prisoner of War. RAF terrorist tracker dog, Lucky, served during the Malayan Emergency from 1949-52. The German Shepherd Dog was the only survivor of a four-dog team who successfully tracked-down insurgents, and in doing so saved many lives. Theo, a Royal Army Veterinary Corps Arms and Explosives Search Dog was serving in Afghanistan in 2011, when his handler Lance Corporal Liam Tasker came under fatal enemy fire. Springer Spaniel Theo died from a seizure just hours after L/Cpl Tasker lost his life in the line of duty. 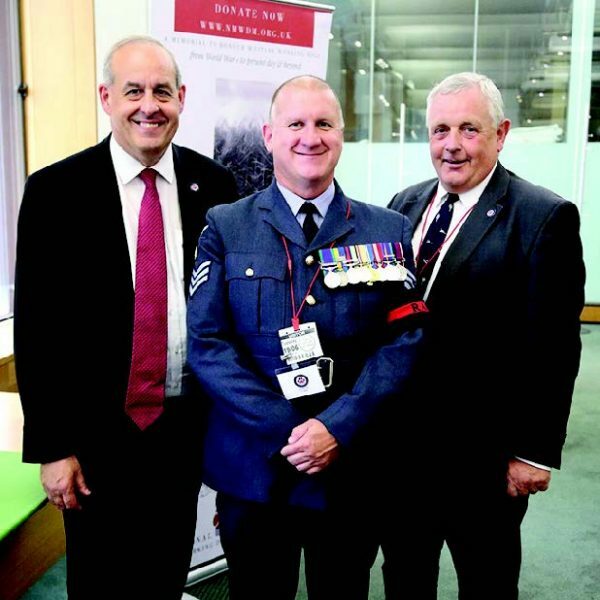 The charity already has the support of key guests at the launch including the Chairman of the Commons Defence Committee, the Shadow Welsh Secretary and Shadow Defence Secretary, in addition to all branches of the Armed Forces and families of military dog handlers past and present. 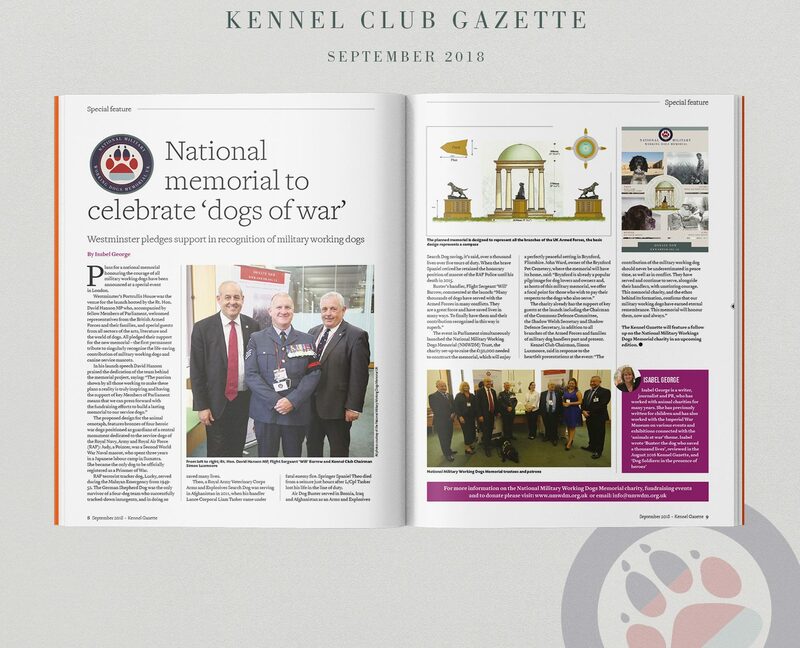 The Kennel Gazette will feature a follow up on the National Military Workings Dogs Memorial charity in an upcoming edition.